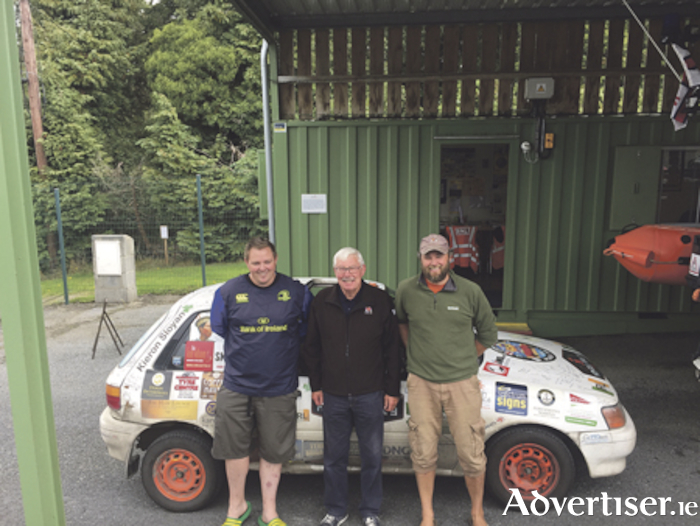 Kieran Sloyan and Niall McHugh ventured on a trip of a lifetime when, in early July, they departed for the Mongol Rally with the aim of raising €10,000 for the Lough Ree RNLI. With the knowledge that they needed to complete the Mongol Rally course between August 12 and 15, the duo commenced their arduous journey from Prague in the Czech Republic with their final destination of Ulan-Ude in Russia their sole focus for the duration of the roadtrip. Fatigued, yet no doubt, full of vigour, the adventurers returned to Athlone on Monday afternoon. This is the second occasion on which Niall has completed the Mongol Rally, having completed the distance ten years previously. If you wish to contribute to the Lough Ree RNLI volunteer fundraising campaign log onto www.justgiving.com/LoughReeRNLI-MongolRally or https://www.facebook.com/LoughReeRNLIMongolRally18/ for further information.